Herbalife green tea products are all the rage among the diet-conscious. What exactly are they? Do they work? Most importantly, are they safe? Before you purchase Herbalife green tea products, you need to know a few important facts. As with any diet programs or supplements, consult your physician before starting your Herbalife program. Herbalife's green tea products are fairly new to the market. They are available through independent Herbalife distributors. You can find distributors locally or through the Internet. 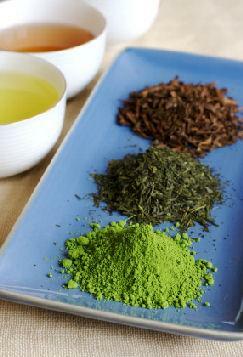 Dieters turn to green tea-based products hoping that they will provide the magic bullet for their dieting dilemmas. Green tea contains caffeine, which acts as a natural appetite suppressant and metabolic stimulant. A second compound, epigallocatechin, or EGCG, may regulate blood sugar levels, thus reducing crazy cravings. EGCG acts upon several important amino acids in the brain, boosting mood and alertness. Caffeine and EGCG are believed to work hand-in-hand to boost metabolism, suppress appetite, and burn fat. While the benefits include many excellent effects, such as reducing free radicals and cancer risk, there is little scientific evidence to support green tea's weight loss claims. Herbalife's green tea weight loss products include pills and teas. The products promise to rev up your metabolism, boost thermogenic (calorie-burning) ability, and reduce hunger. Several Herbalife weight management products contain green tea extracts in varying amounts. The ones most commonly recommended for weight loss include Herbal Concentrate and Total Control. Herbal Concentrate comes in a lemon-flavored instant tea beverage mixture. Green tea blended with orange pekoe tea forms the basis for the tea. The company claims that fast-acting herbal properties boost weight loss. Total Control capsules contain green tea, cacoa (cocoa extract), dried ginger, yerba mate, astragalus root, fennel, hawthorne berry, licorice root, marshmallow root, parsley and other herbs. Herbalife recommends taking this dietary supplement with each meal. Herbalife weight loss products are not subjected to the Food and Drug Administration's testing protocols. Medicinal herbs may interact with prescription medications, and some herbs, such as the licorice root contained in Herbalife Total Control, can raise blood pressure. Exercise care when using these or any other herbal products to ensure they do not exacerbate existing health conditions or interact with prescription medications. Search the web and you'll find hundreds of testimonials from happy Herbalife customers. In video and written testimonials, they credit the products for helping them achieve their weight loss goals. Many customers use these weight loss products alongside Herbalife's nutritional supplements and cite the products for improving their overall health in addition to helping them lose weight. The dark side of this sunny picture concerns several aspects of Herbalife products. .
Herbalife green tea products aren't cheap. Many of the products should be used in conjunction with other Herbalife products, and the costs can add up quickly. The price of many products seems exorbitant compared to the ingredients. You can probably make a similar brew using ingredients already in your kitchen for a fraction of the cost. Many weight loss supplements claim amazing results, and some Herbalife supporters point to their own weight loss journeys as proof positive that these products work. While their claims may be true, it is likely that a combination of using Herbalife products, watching what one eats, and increased exercise resulted in the weight loss, not a magic pill. Unfortunately, there's still no magic pill or supplement to melt the fat away in time for bathing suit season. Concerns about lead within Herbalife capsules and bad reactions to the herbal ingredients raise a red flag. News stories quoting the Spanish Ministry of Health link Herbalife products to possible liver damage in nine people. The U.S. based Fraud Discovery Network also issued a statement concerning the presence of lead in some Herbalife capsules. While the Ministry doesn't mention green tea products specifically, the fact remains that questions abound about the safety of Herbalife products. Many websites contain positive and negative feedback about Herbalife and green tea products. The choice to use herbs to support weight loss is a personal one, but if you are considering this option, then do your research and speak with your doctor, especially if you have any health conditions or are taking prescription medications that may interact with herbal supplements.